Upon reading The Yellow Wallpaper I discovered how the story was not merely about insanity but about the societal constraints on women in the 19th century. The narrator of the story is also the main character, who does not give her name. She and her husband John move to a new home and in her room there is hideous yellow damaged wallpaper. The narrator begins to spiral into an obsession with the wallpaper and finds herself believing there to be a woman trapped behind the wallpaper. When I was reading the story I discovered the wallpaper to be society and the woman trapped behind to be the narrator. The narrator becomes obsessed with helping this woman, Jane, escape from behind the wallpaper. The story ends with the narrator crawling around the edges of the room, completely deranged and not noticing her husband standing in the doorway. What I find to be peculiar about this story is the name of the husband is John and the narrator, who does not name herself, had identified with the woman behind the paper, Jane. These two names can be applied to society as a whole (John and Jane Doe) due to their ability to classify people into one category. Once the narrator begins seeing multiple woman behind the paper trying to come through it was evident to me that this was symbolic of woman being trapped in their societal roles and not having the strength or ability to free themselves. Another aspect of the narrator being trapped is the state of the room. Along with the yellow wallpaper the bed is nailed to the floor and there are bars on the window. Even in her own house and room she is being confined and not able to feel completely free. The narrator sees herself and other woman in society as Jane, a woman trapped behind the societal role that was given to her. 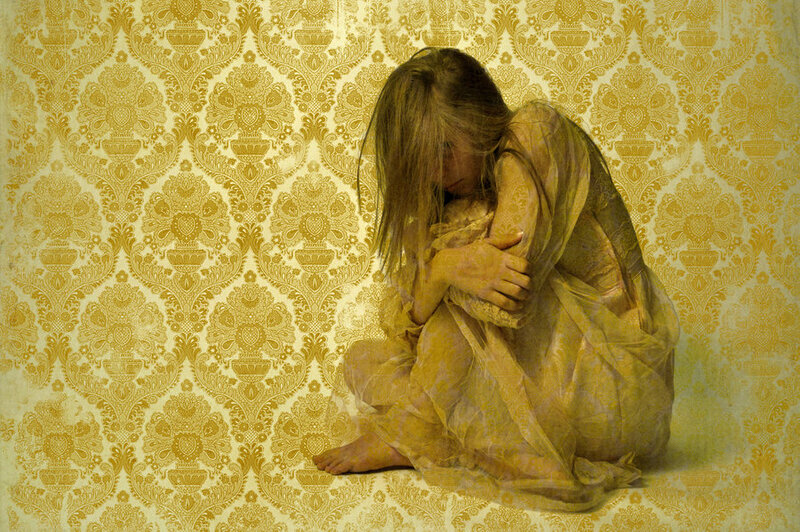 Against popular belief, I absolutely adore The Yellow Wallpaper; I find the piece to be informative and enticing. A woman descending into insanity not due to the literal but to the reality of her, and many others, situation is an example of excellent literature. I would recommend this story to anyone and would be more than happy to discuss it with them in full detail.